The Akan goldweights are produced following the traditional lost-wax casting method. For each piece, a mold is formed, then broken up when the piece is ready. The pieces are made of brass. They are gold plated. Traditionally, the Akan goldweights were used to weight the gold dust that served as a mean of exchange. The use of the gold weights stabilised and secured the local trade. The Akan goldweights had also a social purpose. They were used in the daily communication to convey direct messages. The main Akan goldweight used in the confection of Aflé Bijoux – Créations Akan jewelry is called „Adinkrahene“. It represents a spiral, symbol of charisma and leadership for the Akan. It is especially produced for the brand in Côte d´Ivoire by talented artisans. 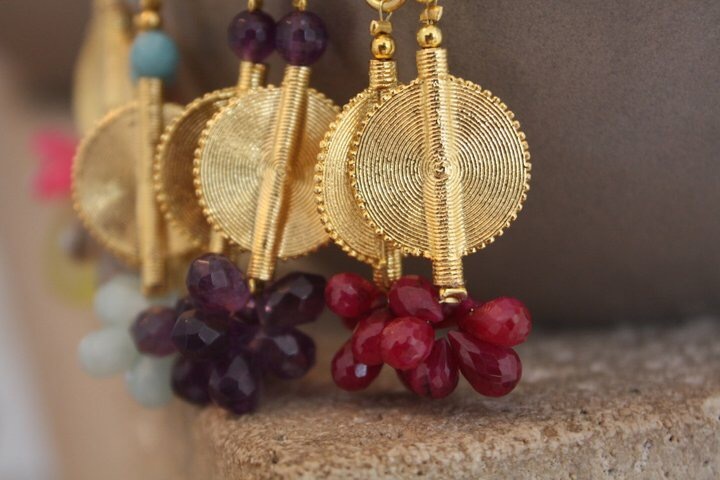 In so doing, Aflé Bijoux - Créations Akan preserves a traditional know-how.